A poetic little slip of a thing [The Shunra and the Schmetterling] holds the world, decades, entire lives, sorrows and beauties all as if in a pair of cupped hands… Beautiful, humane, priceless. Shunra is Aramaic for “cat.” Schmetterling is German for “butterfly.” In Yoel Hoffmann’s new book, these and numerous other creatures, cultures, and languages meet in a magical shimmering hymn to childhood. Hoffmann traces his hero’s developing consciousness of the ways-and-wonders of the world as though he were peering through a tremendous kaleidoscope: all that was perceived, all that is remembered, is rendered in fluid fragments of color and light. With remarkable delicacy and sweep, Hoffmann captures childhood from the amazed inside out, and without the backward-looking wash of grown-up sentiment. Instead, the boy’s deadpan registration of the human comedy around him is offered up as strangely magical fact. 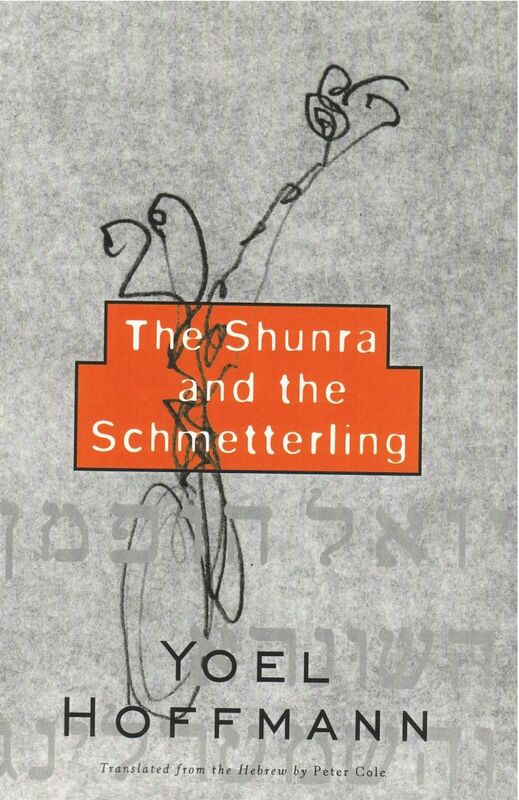 Beautifully translated by Peter Cole, The Shunra and the Schmetterling is fiction for lovers of poetry and poetry for lovers of fiction––a small marvel of a book, and one of the author’s finest to date.